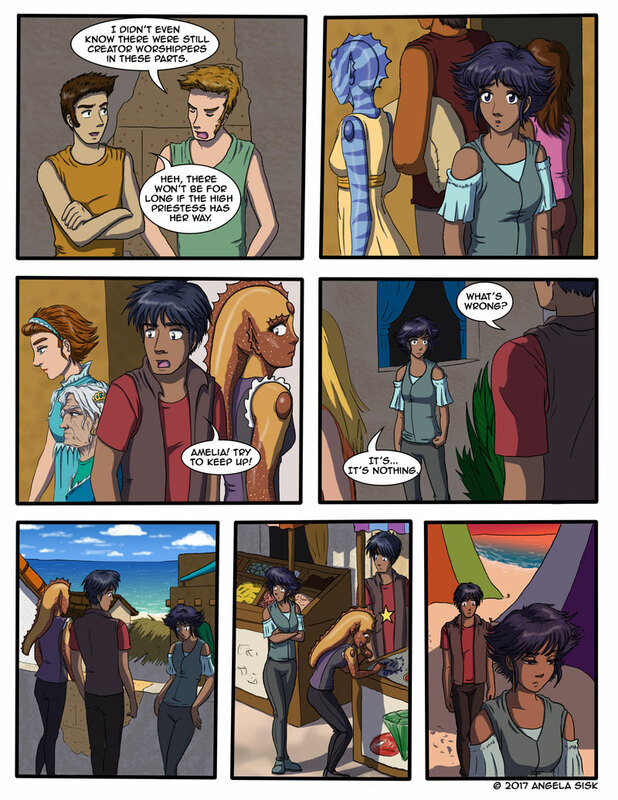 My favorite part about this page is the spice booth behind Amelia in the second to last panel. I had all sorts of fun thinking of what colors to use for that, and what all the spices would taste and smell like! I hope everyone is having a lovely Tuesday! Please leave comments or questions below. I appreciate feedback! I really liked the old lady. She had a lot of character. This is not a pun or any sort.